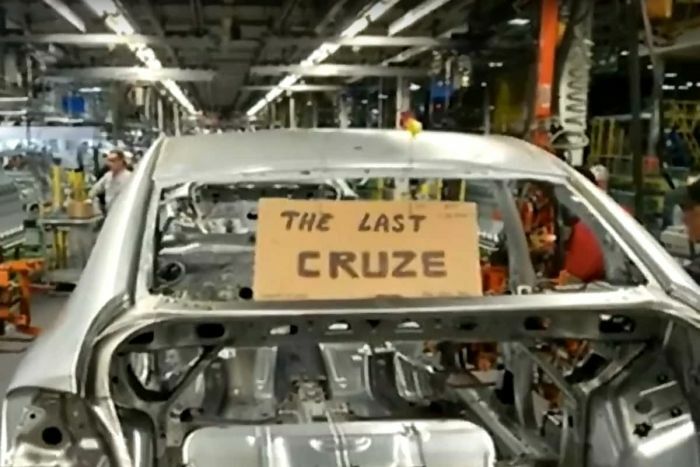 As the last Chevy Cruze sedan rolls off the line, dirty diesel's overdue death is one step closer to reality in the U.S.
As General Motors winds down the production of its car plants in North America, one milestone of note is the last Chevy Cruze rolling off the assembly line. The Chevy Cruze was the last affordable sedan in America that had a diesel engine option. The Lordstown plant is being left "unallocated" by GM as it kills off a handful more car models. As GM planned, the plants will not be left vacant for a period of time.. Affordable diesel models are now as rare as hens' teeth in the U.S. as those automakers still interested in diesel vehicles cope with making the dirty diesels comply with clean air requirements. Chevy will still import a handful of Cruze hatchbacks from Mexico for while, but we have no way of knowing how many of the cars will have a diesel option.